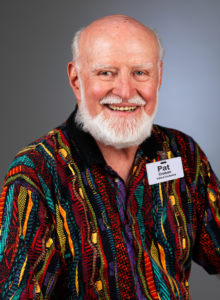 PHOENIX—Pat Crahan, a 54-year U-Haul Team member, passed away on December 31st. He was 89 years old. Perhaps Crahan’s crowning achievement with U-Haul was securing a process known as apportionment, in which all trucks are permanently licensed in Arizona and all states and provinces receive their fair share of licensing fees. Before this move in 2000, U-Haul spent a lot of time and resources trying to get new license plates attached to thousands of trucks. 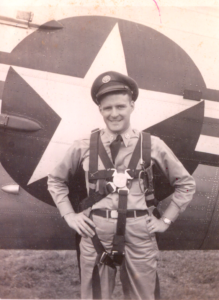 A veteran of the U.S. Air Force, Crahan joined the U-Haul Team in 1963, almost by accident. After an Oklahoma oil rig equipment company laid him off from his job as an offshore drilling supply specialist, Crahan sent out résumés to several companies. When he received a packet from U-Haul, he set it aside, assuming it was information on moving. It wasn’t until he received a call from U-Haul asking to set up an interview that he remembered applying with the Company. Crahan knew very little about U-Haul at the time, and when he showed up to his interview in Oklahoma City, he assumed he’d be speaking with an HR representative. As it turned out, his interviewer was U-Haul co-founder L.S. “Sam” Shoen, who was so impressed with Crahan that he asked him to be the marketing company president (MCP) for what was then U-Haul Company of Oklahoma and Arkansas. That marked the beginning of a 54-year U-Haul career for Crahan, who wasted little time making his mark. Because he spent more than 40 years as VP of Government Relations, Crahan was well-known—and very popular—among countless members of state and provincial motor vehicle administrators. To them, Crahan was U-Haul. In 2000, the American Association of Motor Vehicle Administrators (AAMVA) honored him with the Distinguished Service Award-Distinguished Community Member, one of the AAMVA’s highest honors. Crahan also received high accolades from U-Haul over the years. In 1985, he received the Hap Carty E&E Award, the highest award in the Company. When accepting both of these prestigious honors, Crahan made sure to thank his wife, Velva, saying he couldn’t have done it without her support. Pat and Velva were married in 1956, and anyone who new Pat will tell you it’s impossible to tell his story without mentioning Velva, who also spent several years working for U-Haul, many of them alongside Pat. The Crahans met when Pat’s previous employer sent him to Beaumont, Texas, as part of a management training program. He rented a room in Beaumont from Velva’s aunt, and Pat and Velva eventually started dating. A few months later, they got married, and as they say in fairy tales—and is certainly true here—they lived happily ever after. Pat Crahan summed up their relationship in 2006, when he and Velva celebrated their 50th wedding anniversary. Pat is survived by his wife, Velva, and their four children, along with several grandchildren and great-grandchildren.